Whether you’re wanting to learn something new, keep the kids entertained or are looking for the perfect escape from rainy weather, the Victorian capital is home to plenty of fantastic museums that are well worth visiting. Exploring topics ranging from sporting history, the experiences of migrants and science and technology through to the evolution of film and the Victorian police force, you’re sure to find something of interest in Melbourne’s fantastic museums! 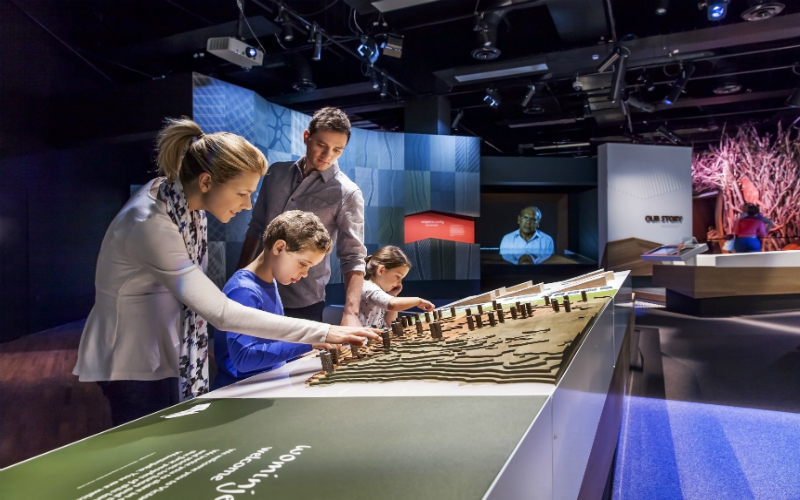 Housing an extensive collection of temporary and permanent exhibitions, the Melbourne Museum is the perfect place to learn about the natural environment, culture and history of the state of Victoria. The museum’s informative exhibitions explore topics ranging from dinosaurs and marine life to the workings of the mind and Victoria’s first Indigenous settlers, with an entire gallery dedicated solely to kids. During a visit to the museum, spend time admiring a complete blue whale skeleton, wander through a living rainforest or catch a film on the impressive screens of Melbourne’s IMAX Cinema. First Peoples Exhibition at Melbourne Museum. Image Credit: Tourism Victoria. Encouraging hands-on participation, Scienceworks offers an interactive museum experience perfect for both kids and the young at heart. 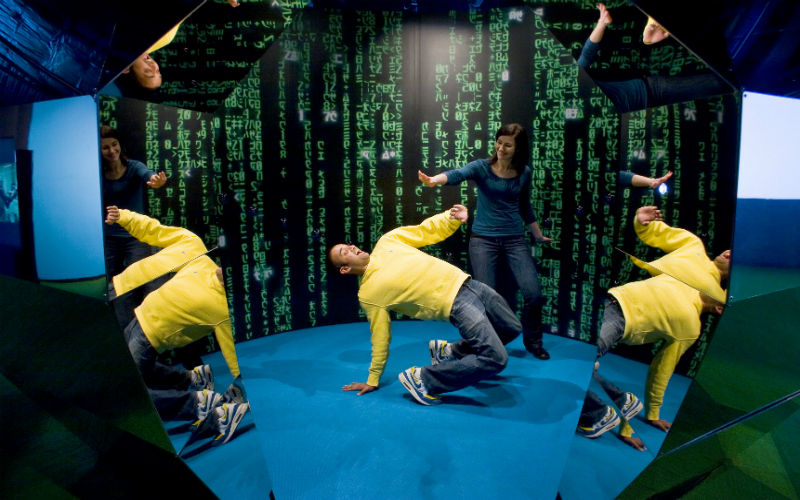 Through interactive tours, demonstrations and exhibitions, the museum presents science and technology in captivating ways that are far from a traditional museum experience. Offering a combination of permanent and temporary exhibitions, there are plenty of ways in which to learn about the human body, animals, technological advances and many more interesting topics. 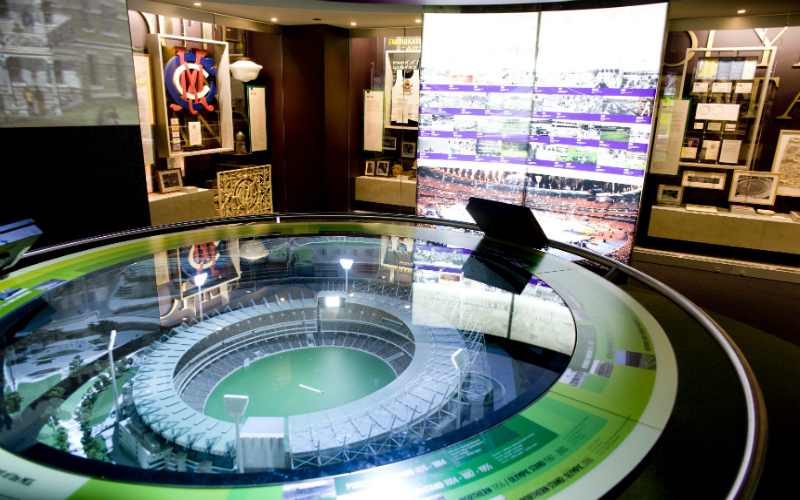 Located within the grounds of the MCG, the National Sports Museum presents visitors with the opportunity to discover the stories and artefacts behind some of Australia’s greatest sporting triumphs. Home to a wide range of sporting memorabilia, as well as extensive multimedia displays, the museum charts the history of AFL, cricket, horse racing and other popular Australian sporting pursuits. No visit to the museum is complete without seeing Sir Donald Bradman’s baggy green cap or the iconic running suit worn by Cathy Freeman during her gold medal winning race at the Sydney Olympics. The National Sports Museum at the MCG. Image Credit: Tourism Victoria. Through a mix of emotive images, personal recollections and memorabilia, Melbourne’s Immigration Museum explores the stories of those who have made the long, and sometimes arduous, journey to settle in Victoria. The museum’s fascinating exhibitions delve into subjects such as the reasons for migration, the journey to Australia and the notion of identity as a migrant, while the onsite Immigration Museum Discovery Centre allows visitors to track their family’s own migration history. Whether you’re a local or visiting from further afield, a visit to the museum will be sure to evoke a greater appreciation of the state’s multicultural make up. Displaying a unique blend of Australian and international exhibitions, the Australian Centre for the Moving Image (ACMI) celebrates the development and evolution of film, television and digital culture. Offering a program of creative workshops, panel discussions, live performances, film showings and more, ACMI is the place to go to discover the history and future possibilities of some of the world’s most loved media forms. Having hosted exhibitions telling the stories of pop icons, animation favourites and historic film industries, expect to find something to pique your interest at ACMI. The Screen Worlds Exhibition at ACMI. Image Credit: ACMI. Home to an extensive collection of artefacts, the Victoria Police Museum presents the history of policing and criminal activity in Victoria through informative, and sometimes spine-tingling, exhibitions. Dating as far back as the 1800s, memorabilia within the museum’s collection includes historic police uniforms, detailed prisoner records, piercing mug shots, chilling crime scene photographs and two sets of original Kelly Gang armour. While some exhibits aren’t for the faint hearted, the museum offers an incredible insight into one of the constants of Victorian society. Planning a trip to Melbourne? Webjet will help you find cheap flights to Melbourne and book a place in Melbourne to stay close to the city’s many fantastic attractions.